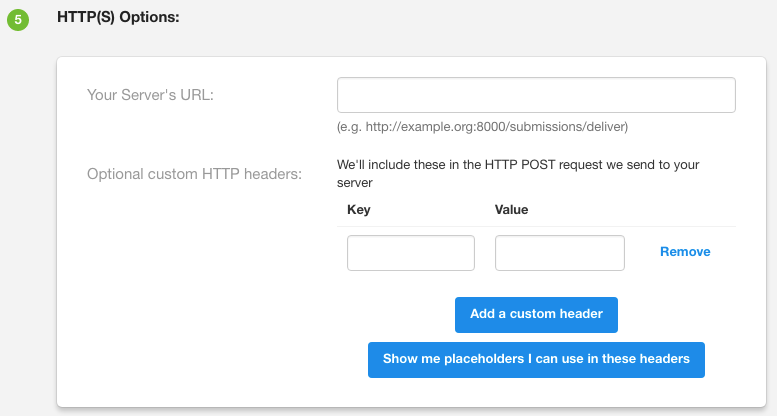 Learn how to set up a HTTP(S) Destination so you can send submission data directly to your own API end point. 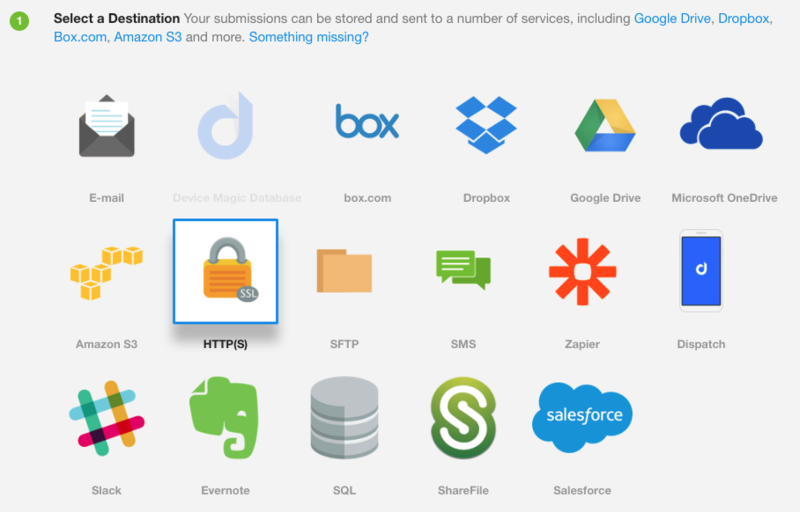 When you need more flexibility than a simple e-mail or Google Spreadsheet, use the HTTP(S) Destination to receive data at a web endpoint you specify. For each form submission received by the Mobile Forms server, a corresponding XML/JSON payload including both the form data and some metadata will be delivered to the URI you specify. Optionally, you could also specify that a Word or PDF document be sent over HTTP(S). In this article we'll go over the HTTP Destination. Please note that the HTTP(S) Destination is only available with our Advanced and Enterprise Plans. We also have a .NET sample published on our Support Forums. "value": "lat=-33.863579, long=18.641930, alt=157.468994, hAccuracy=10.000000, vAccuracy=16.000000, timestamp=2016-06-17T13:56:12Z"
Once your server has finished processing the XML/JSON successfully, return a 20X-series of HTTP response. Any other response code will be interpreted as a failure by the Mobile Forms server and will continue to attempt delivery at periodic intervals. In this way, downtime or communication difficulties between our servers won’t result in lost data. To set this up, go to your "Forms" page and click the link in the Destinations column of the form you would like to add the Destination to. A new page will load, and on it you will see different destinations to send your data. Click "HTTP(S)". You will then be given a selection of formats to choose from. Click on the format you require. For this example, the "JSON" format has been selected. Step 5 contains your HTTP(S) Options. This is where you will need to insert your server’s URL. You will also be able to set custom HTTP headers. Placeholders are also available for you to insert. These are optional. 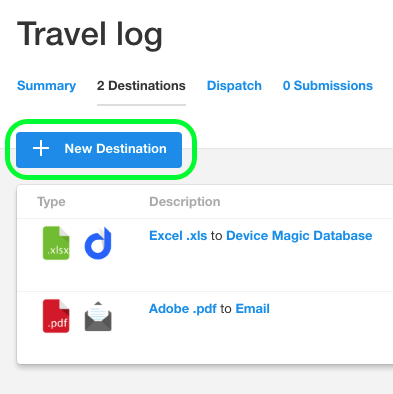 In Step 6, you have the option to create Destination Rules on when you want the Destination to be active. To learn more about how Destination Rules work, visit our article here. You will then be directed to the Destinations page for your form where you will see the Destinations you've made for it - now including the HTTP(S) one you have created. For diagnostics, please visit your “Delivery Problems” page from your organization’s dashboard. Note that this link won’t appear if there are no delivery problems for the various connectors you have configured. This concludes our overview of the HTTP destination. If you have any questions or comments feel free to send us a message at support@devicemagic.com or leave us a comment below.